Angel's Great Escape Available On Amazon! 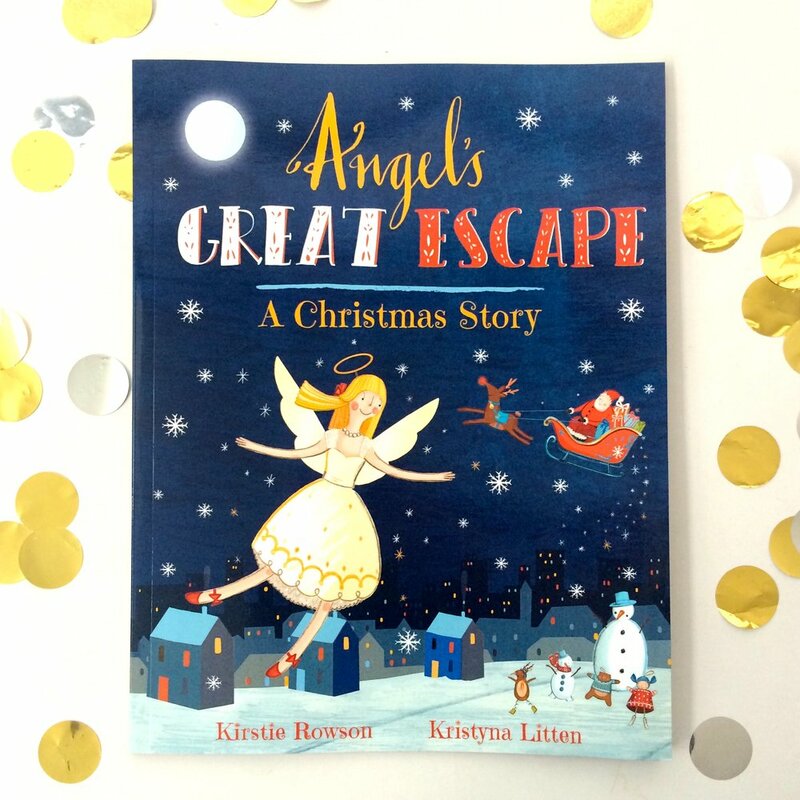 Today, I am very excited to announce that my first self-published picture book Angel's Great Escape, illustrated by Kristyna Litten, is finally available in print! For those who have followed my progress you will know that this has been quite a journey that has taken more than four years to complete. And quite a bit longer than that when I realise I first had the idea over ten years ago! I will write a detailed blog post soon about my self-publishing journey but for now I wanted to celebrate the fact that a long-held dream is now a reality and I'm so excited to finally be sharing my little Christmas story in print! I really hope that you and the little ones in your life enjoy it this festive season! And don't forget you can also download a fully narrated version of the book on your tablet from iBooks or Me Books. Narration is by West End superstar David McMullan and the Me Books version even has additional character voices which you can hear a sneak preview of in the video below!